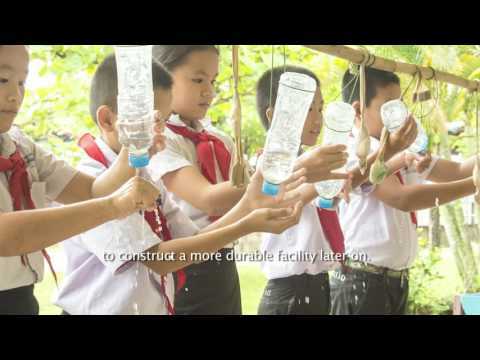 The Sisattanak Distict in the Vientiane Capital of Lao PDR was able to scale up the Fit for School program in all its primary schools within three years. This was made possible under the leadership of the District Education Bureau, in partnership with the District Health Department and endorsement from the Department of Pre-school and Primary Education (DPPE) of the Ministry of Education and Sports (MoES) and Provincial Education Service of Vientiane Capital. This complete orientation video describes in detail how the Sisattanak District has been able to start the implementation of the Fit for School program, scale it up and discusses success factors that contributed to the district-wide scale-up of the program. It is a joint project of the Ministry of Education and Sports (MoES) of the Lao People’s Democratic Republic, Southeast Asian Ministers of Education Organization Regional Center for Educational Innovation and Technology (SEAMEO INNOTECH) and Deutsche Gesellschaft für Internationale Zusammenarbeit (GIZ) GmbH.